The legislated motifs of the palladium coin: Adolph Weinman’s Winged Liberty dime obverse, and the reverse of the 1907 American Institute of Architects medal, also by Weinman. The Citizens Coinage Advisory Committee is a public group established by Congress to advise the secretary of the Treasury on designs for U.S. coins and medals and similar areas of national concern. Recently I reported on the design-review process and the open-forum question-and-answer session of the Monday, June 27, meeting of the CCAC. This was an interesting and productive meeting that covered 2018 “National Park” quarters, Barack Obama’s presidential medals, and other numismatic topics. Among those topics was a precious metal the United States has never before used in coinage: palladium. Palladium is coming to the U.S. Mint—that much is certain. Congressional mandate makes it so. When it happens, and precisely what it will look like, are still up in the air as of early July 2016. At our June 27 meeting Mr. Ronald Harrigal gave a report to the CCAC on the production side of the new program. As a senior advisor at the U.S. Mint, and current acting quality manager, Harrigal’s qualifications to make this report are notable. 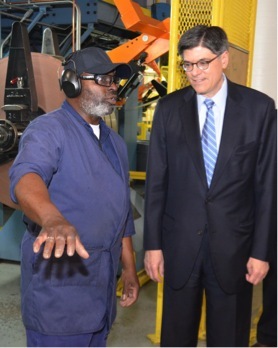 He earned a BS in Mechanical Engineering from West Virginia University, and his work at the Mint started in 1985 with employment as a manufacturing engineer. He then served as a division chief responsible for managing the Mint’s capital improvements project portfolio; then department head for information technology, human resources, and management services for the Circulation Coinage Business Unit. He worked in manufacturing research and development for nine years, and had the distinction of serving as acting chief engraver for nearly two and a half years after John Mercanti retired in November 2010. Today he’s responsible for quality strategic planning and tactical implementation across Mint processes. The bullion version of a palladium coin, Harrigal noted, has been legislated by Congress, while a Proof version is optional, to be minted (or not) at the discretion of the secretary of the Treasury. Two important factors, notably, have not been legislated: Congress set no specific rollout date for the coins, and it didn’t mandate their diameter. Without those constraints the Mint has the time and the design flexibility to develop the best coin possible. This marks a contrast to the 2010 rollout of the America the Beautiful five-ounce silver coins. It appears that Congress learned valuable lessons from that experience. The legislation for the ATB program ordered that the silver pieces would be available for sale only in the year in which their circulating quarter dollar counterparts were issued. This immediately imposed urgent timeline pressure on the research-and-development process—the America the Beautiful legislation was passed in December 2008, and the first year of the new quarter dollar program was 2010. Congress also specified a three-inch diameter for the coins. This was a technological burden; most countries with experience minting five-ounce silver bullion coins use a more manageable 2.75-inch diameter. Furthermore, Congress ordered that the edge of the coins must be lettered with inscriptions. Like any manufacturer, the Mint identifies and solves production challenges all the time, but the America the Beautiful program was for a large-format coin it had never attempted before, and the clock was ticking. 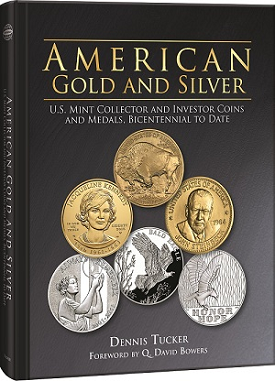 In American Gold and Silver: U.S. Mint Collector and Investor Coins and Medals, Bicentennial to Date, I detail some of the hoops the Mint had to jump through to make Congress’s unconventional format work. Mint Director Edmund Moy said, “We’ve got a five-ounce piece of silver, and we stretch it out to a three-inch diameter. It’s paper-thin. And then Congress mandated that we had to edge-letter it. So when you edge-letter a paper-thin coin, you get crumples.” With 2010 dwindling and with R&D still under way, Congress pushed through a new round of corrective legislation that was made law on November 30. This removed the provisions requiring edge-lettering and a three-inch diameter. By then, though, with only one month left in the mandated year of issue, the Mint had already invested the time, effort, and expense needed to solve the technical challenges, using a massive $2.2 million Gräbener press ordered from Germany and installed in the Philadelphia Mint. The U.S. Mint is no stranger to innovative precious-metal coins and medals. In fact, there are entire books devoted to the Mint’s creativity. The result was that the Mint only had time to make 33,000 of each of the five 2010 coins. Its original intent had been to strike 100,000 of each. So—lessons learned. Congress will let the Mint’s experts establish their own working timeline, and won’t force a particular coinage diameter into the equation. This doesn’t mean there will be dawdling or unnecessary delays with the palladium program. 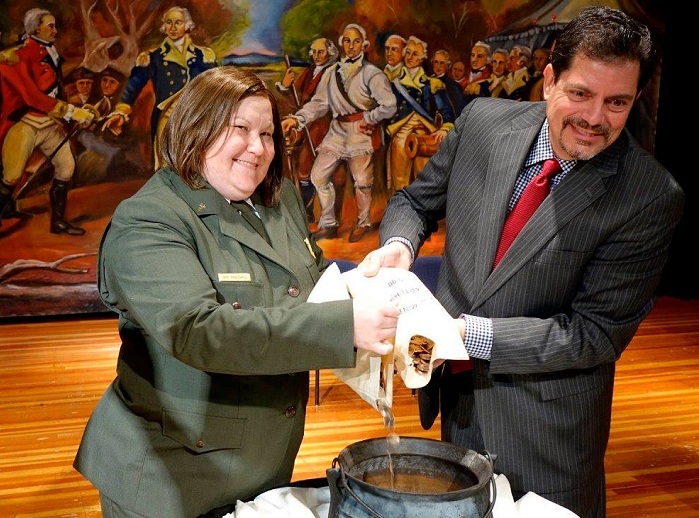 “The Mint is working diligently to get the program started as quickly as it can,” Harrigal reported to the CCAC. Talks are under way with potential suppliers of the precious metal, with the goal of lining up at least two vendors. Another goal of the Mint’s is high relief, which will likely require a diameter between 32.7 mm (the size of a one-ounce American Gold Eagle) and 38.1 mm (the size of a silver dollar). “High relief will be a challenge,” Harrigal said. Quarter-sized (24.3 mm) test planchets have already been struck (with Martha Washington designs and nonsense dies), with Harrigal reporting that further development is needed in regards to the upset-rim profile and other factors. He estimates that another two to four iterations with suppliers will be needed to properly develop workable planchets. By his estimation, the Mint could fine-tune its planchet specifications through the remainder of 2016, and then its suppliers can begin production. “Supply chain is the key,” Harrigal said. 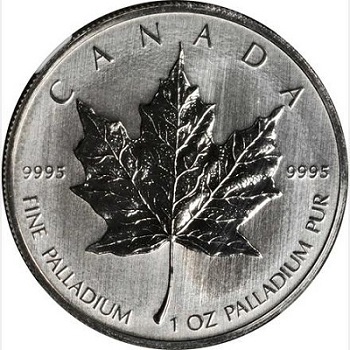 Canada’s one-ounce palladium Maple Leaf. Significantly, the U.S. Mint has been communicating closely with the Royal Canadian Mint on this project. Our neighbor to the north is the only American mint with an ongoing palladium program (launched in 2005), and one of only a few worldwide that have made a long commitment to the metal. Harrigal describes their relationship as very cooperative. In addition to the production side of the program, Harrigal spoke a bit about sales and marketing. He noted that Canada saw initially robust interest in palladium from collectors and investors, followed by a decline in sales. While the Royal Canadian Mint still produces versions for collectors, it ceased regular bullion-strike mintage because of fluctuating demand. Later in the evening, in the public-forum portion of the CCAC meeting, professional coin dealer Bob Campbell of Salt Lake City observed that platinum bullion coins outsell palladium 100 to 1 in his day-to-day business. Hobbyists in the United States and in Canada, and indeed worldwide, will watch with interest as the U.S. Mint’s palladium program continues to take shape. 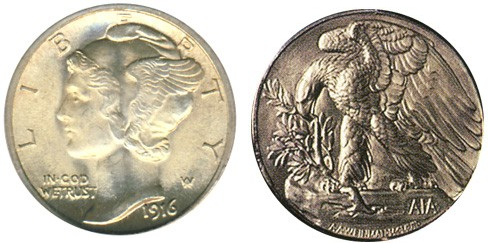 The obverse and reverse of the proposed Palladium Eagle really don’t go together. The Mercury dime obverse was designed for a much smaller coin.